DividendMax»Company Coverage»Country:United States»Exchange:NASDAQ»Sector:Technology Hardware & Equipment»Company:Qualcomm, Inc.
QUALCOMM engages in the design, development, manufacture, and marketing of digital wireless telecommunications products and services based on its Code Division Multiple Access technology. It markets its products through direct sales force, partnerships, and distributors worldwide. 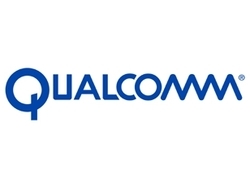 QUALCOMM have consistently increased their dividend payout at between 8 and 20% and are projected to continue these impressive increases. The dividend cover is high which supports the ongoing projected dividend payout increases.